 TSC Communications, Inc. has adopted the following network management practices, performance characteristics, and commercial terms and conditions for its broadband Internet access services in compliance with the Federal Communications Commission’s (“FCC’s) Open Internet Framework requirements and Restoring Internet Freedom Order (GN Docket No. 09-191, WC Docket No. 07-52, WC Docket 17-108, and FCC 17-166). These practices, characteristics, terms and conditions are effective as of June 1, 2018. The Company does not normally monitor the devices used by its customers. It warns customers that some types of devices (for example, Data Over Cable Service Interface Specification (‘DOCSIS’) devices intended for use on cable broadband networks) may not be compatible with its fiber optic and/or fixed wireless broadband network. The Company does not knowingly and intentionally impair, degrade or delay the traffic on its network so as to render effectively unusable certain content, applications, services and/or non- harmful devices. However, the Company notes that congestion may from time to time impair, degrade, or delay some traffic. The Company does not impose fees for early termination with respect to non-contracted service arrangements. Early termination fees are clearly listed per agreement. Questions and complaints regarding the foregoing matters should be addressed by contact the Company by calling our business office at 419-739-2200 or writing to us at P.O. Box 408, Wapakoneta, OH 45895 or email us at info@telserco.com or come by our business offices at 2 Willipie Street, Wapakoneta, OH 45895. The Company desires to resolve questions, complaints and other problems of its customers and edge service providers in an informal and direct manner that satisfies all interested parties to the greatest extent practicable. NOTE: TSC Communications is owned by Hanson Communications Inc. A multi-state holding company headquartered in Willmar, MN and owns ILECs in Minnesota, South Dakota and Ohio, as well as ISPs in those states plus Nebraska.